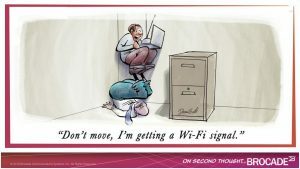 XIOLOGIX WIRELESS KEEPS YOU CONNECTED – IN MORE WAYS THAN ONE. Xiologix offers flexible, high performance wireless solutions configured to deliver superior connections and excellent digital experiences. Optimizing your wireless infrastructure can also enable dynamic intelligence and communication options to support organizational insights and goals. We gathered select industry articles that may be of interest to you in your search for the best Wireless options. Please contact us if you have any questions. Xiologix wireless keep you connected. We can assist your company with your wireless strategic planning, optimization, procurement, and implementation. Access points, wifi, smart wifi, heat maps, presence analytics and more! – Contact us for more information. Smarter Wi-Fi Enhances the Shopping Experience and supports store operations. FortiPresence: Deploy. Enable. Secure. Scale. Whether your company is a local independent bookstore, or a nationwide clothing chain with over 1,000 stores, Fortinet can secure your business. Provide complimentary Wi-Fi access to customers while ensuring that your POS and retail devices are up and running. And with FortiPresence, you can gain extraordinary insights into your shoppers’ behavior and even influence their purchases in real time. David Baldwin, Product Line Management, introduces Ruckus Wireless’s new Virtual Smart Zone (vSZ) wireless controller and discusses how it can be used in pure virtual deployments as well as with SDN and other newer networking configurations. Recorded at Wireless Field Day 8 on September 30, 2015. For more information, please visit http://RuckusWireless.com/ or http://TechFieldDay.com/event/wfd8. The second wave of wireless networking gear based on the 802.11ac standard – collectively, “wave 2” – is the current cutting edge of Wi-Fi technology.Boasting multi-user MIMO (meaning that it can service multiple client devices using its multiple antennae), wider channels, and a number of other bells and whistles, wave 2 hardware offers more throughput and better handling of multiple connections.But is it really necessary? Generally, connection speeds are limited by other parts of the infrastructure, not the wireless connection. Cutting-edge gear, obviously, comes at a premium price. If the improvements over 802.11ac wave 1 aren’t crucially important to you, some argue, you might be better off skipping wave 2 and waiting for the next wireless standard – 802.11ax – to make it onto shelves.+ALSO ON NETWORK WORLD: Android gets patches for serious flaws in hardware drivers and media server + How Intel plans to change servers as it breaks away from PCs Where 802.11ac wave 2 is a strong incremental upgrade, 802.11ax (which is expected to hit in 2019) is a leap forward – it can, potentially at least, reach 10Gbps speeds, and has the ability to subdivide channels for better multi-device performance. Ajay Malik, a veteran of Cisco, Meru and HP, wrote earlier this year that many companies should simply wait for gear built to the 802.11ax standard to appear, instead of upgrading to wave 2 and then upgrading again to ax.The type of generational improvement we’ll see between 802.11ac and ax fits the Wi-Fi upgrade pattern a lot better than the relatively smaller gap between ac wave 1 and wave 2, he said.“Historically Wi-Fi went from 2Mbps to 11Mbps to 54Mbps to 300Mbps and 1.3Gbps,” Malik said via email. “That’s what 11ax does, not wave 2. A generational leap is what we need.” (Malik is a Network World contributor, and wrote about this issue earlier this year.) The new standard is expected in 2019, and 802.11ax hardware should hit the market shortly thereafter.But Michael Dickman, vice president of product line management at HPE/Aruba, argued that avoiding wave 2 just because it’s a less impressive upgrade in terms of total throughput doesn’t make a lot of sense. “Do you really want to wait until 2019 to even consider a refresh?” he asked.Moreover, according to Dickman, it’s far from settled that the huge speed boosts promised by ax will even be required for consumer use. Endpoint manufacturers haven’t seen the demand for faster wireless.“The most urgent problem for that wireless network engineer is on network-level throughput and on application experience, and individual client throughput doesn’t seem to be the main challenge now,” he said.That means that client density – which wave 2 ac substantially improves with multi-user MIMO capabilities – is likely to be a bigger issue in the networks of today and tomorrow, suggesting that it’s a more important upgrade than some of its detractors imply.John Ciarlone is vice president of sales at Hummingbird Networks, a VAR that sells primarily Cisco/Meraki products. He said that even if the promised high speeds can be realized, limitations on the rest of the infrastructure could make them irrelevant.“First of all, you have very few devices that have wave 2 as it is,” Ciarlone said. “Most people’s infrastructure won’t support it.”Realistically, of course, the decision on whether to go with wave 2 or wait for ax is situational. Businesses that are still using a/b/g/n gear should probably upgrade sooner rather than later, but a company that just finished a move to wave 1 ac access points doesn’t need to rush right out and buy wave 2. By: Phal Nanda, Director Product Line ManagementIs it even recommended? Better Wi-Fi depends on some key elements (1) static factors such as coverage area, materials used for constructions, and planning, (2) known dynamic factors such as typical devices per room (20 to 30 devices), apps used during classroom and online testing, as well as (3) unpredictable dynamic factors such as sticky clients, networking gear failures (a part of the network, APs, switches), recent configuration changes impacting service, etc. Let’s look at each of those parameters more closely and determine the reasoning behind whether or not one AP per classroom has merit.First of all, let’s look at cost. More APs per classroom means more APs of course, but there is more. More wiring – sometimes wiring cost is as high or more than cost of APs – more PoE switches (to power the APs), and more subscriptions in the cloud or more licenses for your Wi-Fi controller. There is cost everywhere, and these additional costs can add up.Alternatively, less APs usually require a pre-deployment RF planning (some cost) and smarter Wi-Fi technology that can handle both static and dynamic variability of the environment. K-12 class rooms are small – about 35ftx35ft (or 1,225 sq.ft.). Walls between classrooms can be anything from accordion room dividers to drywall to concrete – though most are wooden structures with studs and drywall separating linearly constructed U.S. elementary and middle school classrooms. Rooms themselves are quite open. RF propagation would have minimal impact in covering upwards of 60-90 feet or more. All of those without even considering the value some Wi-Fi vendors bring with their RF innovations (such as Beamflex, ChannelFly, etc. ).In the classroom, kids are typically given one device each, for mobile learning as well as online testing, and we can expect to have 30 devices active per classroom at any time (not to mention connected devices in a backpack, purse or on a wrist.) The most taxing online traffic would likely be downloading video streaming services (between 2-5Mbps) during e-learning sessions.With the unpredictable network conditions , such as class time running late and more kids waiting outside who are now connected to the same APs. In addition, all APs are designed for classrooms; auditoriums and cafeterias require “stadium-like” client density handling.The overwhelming simplicity of cloud management has provided school’s IT teams with the dilemma: while some controller-based Wi-Fi technologies provide better RF, the simplicity of Cloud is a decent compromise.What if they had a choice? The best Wi-Fi and cloud management, would result in half the number of APs needed per school district, half the number of cloud subscriptions to buy and renew, half the number of PoE switch ports needed, and half the cost of cabling, half as many devices to fail… you get the idea. All of those, without compromising on cloud simplicity? Would you try it? What would your district do with a ‘Wi-Fi tax refund’ this year? WiFi data – The new gold mine! By: Udaya Padmanabhuni, Sr. Principal Product ManagerThe number one role of network data is to improve the operational performance of the network and ultimately drive business objectives. Data analytics provide insights on network functionality and user habits that network managers have never had before. With these insights, enterprises can make decisions network infrastructure, uncover answers for hard-to-solve problems and use IT resources more effectively.Let’s look at how service providers and enterprises are leveraging data and analytics to run and improve different aspects of their business.For Service Providers, Business Runs on WiFiWi-Fi has become critical element for Service Providers world-wide. Five 9’s availability is expected, along with sufficient speeds to support various business critical applications. The demand for Wi-Fi speed is ever increasing. Service Providers are expected to provide affordable Wi-Fi access to businesses and consumers, and to be profitable. Businesses rely on customer satisfaction and maintaining acceptable levels of service. Service Providers are using the data from Wi-Fi networks to monitor the health of the network, and measure the Wi-Fi KPIs and quality of service. If customers experience degraded service, their businesses are impacted immediately. Data from Wi-Fi networks is used as a feedback loop to ensure that Wi-Fi service is up and running and adequate network SLAs are maintained. Service Providers are also using Wi-Fi data to improve operational efficiency. Service Providers would like to deploy an optimal number of APs to ensure SLAs, but not over provision (or under provision) the network resources. By collecting the Wi-Fi data and analyzing user patterns and behaviors, traffic and volume of data, Service Providers are optimizing the deployment of Wi-Fi access points and other related network infrastructure. This data is also used to configure Tx power levels on access points to minimize the interference and improve the Wi-Fi performance.When data collection and analysis has to be done manually it is a huge challenge to service providers. While the market for service providers is robust, the Wi-Fi demand is growing, the number of access points is ever increasing, and new applications are being deployed.Enterprises Need Increased Efficiency and Reduced CostIT departments are tasked to ensure the health of Wi-Fi infrastructure, reduce the IT costs, and maintain the Wi-Fi service, among other things. Wi-Fi has become critical service to run the business. Data is collected from Wi-Fi networks to monitor, maintain health of the network and ensure the availability of Wi-Fi network. Wi-Fi networks are ever growing, while IT staff and budgets are remaining constant or more often, being reduced.Enterprises are challenged to maintain the health of Wi-Fi infrastructure, while demand for higher SLAs is growing continuously. With fewer IT staff tasked with many projects, IT departments are under tremendous pressure to increase efficiency and reduce costs of Wi-Fi infrastructure. This is creating more and more challenges for IT department.Enter Ruckus SmartCell Insight (SCI)SCI is a reporting and analytics engine that provides visible insights into Ruckus Wi-Fi infrastructure. These insights will help drive key business decisions and improve operational efficiency of Ruckus Wi-Fi infrastructure. SCI enables decision makers to make informed and intelligent decisions about Wi-Fi infrastructure. When SCI is deployed in conjunction with Ruckus controllers and access points, businesses will be able to achieve operational efficiency of Wi-Fi infrastructure, reduce Wi-Fi costs and improve the overall profitability of business.Check it out for yourself. SCI comes with 90-day built-in trial. More information about can be found here. Flip on the nightly news and you’ll likely catch a story about the latest retail giant closing stores.Nine retailers, including Wet Seal and Limited Stores, have already declared bankruptcy in the first three months of this year. And mall darlings, such as Macy’s, Abercrombie and Fitch, and Payless ShoeSource are closing stores at an alarming pace.The challenges to brick-and-mortar retailers in an increasingly digital business world are undeniable. Just look at the stratospheric growth of Amazon—between 2010 and 2016, Amazon’s sales in North America have grown from $16 billion to $80 billion.But smart brick-and-mortar stores are using wi-fi technologies, such as heat maps, to convert customers and increase profits. By implementing new strategies, traditional stores can regain traction and successfully compete against the e-commerce juggernaut.Don’t Count Out Brick-and-MortarThere’s still potential for growth—even for classic retailers. It’s all about creating the best user experience for customers. Retailers can figure out what customers want by using information collected from something nearly everyone has tucked in their pocket or purse when they enter a store—their smartphone. Read: How to Win Shopper Loyalty and Influence Buying BehaviorCustomers are constantly gathering and sharing information on their phones while wandering through store aisles. Retailers can collect this data through Wi-Fi and then use it for consumer engagement.Smartphone technology can help retailers pump up customer loyalty and brand recognition by using personalization and real-time customization. Retailers can use wi-fi location-based services to target specific areas with promotions and sales, use push notifications and offer app downloads and targeted search results.How Retailers Can Use Heat MapsAnother way retailers can use Wi-Fi is to generate heat maps, which can help improve customers’ overall experience and entice shoppers to make purchases. Benefits include:In-store marketing improvements. Are customers breezing past displays and lingering at others? By seeing how long shoppers spend in certain areas of your stores, you can improve in-store marketing.Space optimization.Perhaps it’s time to upgrade your signage and product descriptions. By seeing what areas of the store are neglected by patrons, you don’t waste precious space on unwanted merchandise.Product suggestions and incentives. Heat maps can help retailers anticipate what customers are looking for. Why not send a coupon directly to their phone?Smarter staffing. Maybe it’s time to open another register, or perhaps an employee should be stationed near the sports equipment aisle where customers are congregating.More accurate targeting. Do most customers come from around the corner or an adjacent city? You can use this information to offer customers location-based deals.Store comparisons. Use collected data to run A/B testing about store performance. This data can help you tweak the placement of merchandise, or ditch a product altogether.Advantages of the Fortinet SolutionSmartphones are always scanning for wireless access points — emitting all kinds of information. Fortinet’s wi-fi, location-based services can help retailers collect this valuable data to increase shopper loyalty and influence purchasing behavior.FortiPresence is a cloud-based product that offers retailers social wi-fi and valuable analytics, with high-performance security. You’ll find out things like real-time location trends, conversion and bounce rates, the number of visitors, the time they’ve spent in the store, contact information and comparisons across stores.Fortinet processes this information and displays it in a dashboard, making it easy for you to readily see total visitor traffic, track marketing campaign success and generate real-time animated heat maps for increased customer engagement and business performance.As a partner of Fortinet and a provider of Fortinet’s FortiPresence, Xiologix can help brick-and-mortar retailers use best-of-breed wi-fi location services technology to convert customers and increase revenue. Contact us to learn more. We’ve all seen the headlines screaming that the retail apocalypse is here, and retail stores as we know them are in their death throes.Some of the hysteria is warranted. Competition from e-commerce is fierce. A whopping 3,500 stores are expected to shutter their doors in the next couple months. Major retailers like JC Penney, Macy’s and Sears are all closing stores—turning malls into ghost towns.The challenges are real, but don’t give up on brick-and-mortar just yet. With a change in mindset and new strategies, traditional stores can turn it around by using the very thing that gave e-commerce its swift rise—technology.A Challenging Climate for Brick-and-Mortar RetailersThe changing retail landscape presents big challenges to brick-and-mortar retailers looking to compete with e-commerce.A recent Pew Research Center survey found that nearly 80% of Americans are online shoppers—with 15% making weekly online purchases. This may sound discouraging, but there’s still hope for brick-and-mortar stores that use technology to their advantage.There’s something to be said for physically seeing an item in a store and asking a salesperson questions, face-to-face. In fact, this same Pew survey found that 64% of Americans said they would prefer to buy from a physical location.Of course, merely getting someone into the store doesn’t guarantee a sale. The trick is capturing shoppers’ attention and giving them a reason to buy while they’re in your store.You just need to give your customers an incentive and make them feel special. Make it a pleasant shopping experience with small details like free WiFi; for example, and offer them exclusive, relevant in-house deals.Technology Isn’t Just for E-CommerceThis is where technology comes in. It can help brick-and-mortar retailers go head-to-head with online storefronts by making it easier to acquire, analyze and leverage valuable customer data to boost customer engagement and enable real-time customization.You can target specific locations with promotions and sales by using push notifications, app downloads, and targeted search results to spread the word.But where is all of this valuable information coming from? How can you directly communicate with shoppers perusing your aisles? The answer is simple—smartphones.Retail Analytics Can Provide Retailers with a SolutionPeople are seldom without their phones, and nearly half admit to checking online reviews and comparing prices while they’re in a store. Technology will help you take advantage of this behavior to capture the sale.Even if a smartphone is tucked away in a pocket and not connected to WiFi, the phone is constantly emitting a WiFi probe signal. By harnessing this data, you can amass a treasure trove of valuable retail intelligence. For example, FortiPresence can help you gather this powerful information to increase in-store sales. It’s a cloud-based service, so you don’t have to bother with acquiring expensive new software. In addition to offering social WiFi, FortiPresence provides essential customer data.With retail analytics, retailers will see things like conversion and bounce rates, real-time location trends, total visitor numbers, time spent in a store and comparisons with other stores. Best of all, you can use this data to target someone browsing in your physical storefront with real-time ad generation.Xiologix can help brick-and-mortar retailers use retail analytics to win back customers from e-commerce. Read: 6 Cool Ways to Drive Conversions with Heat Maps. Contact us to learn more.